Runo Misaki is one of the main characters from Bakugan Battle Brawlers. 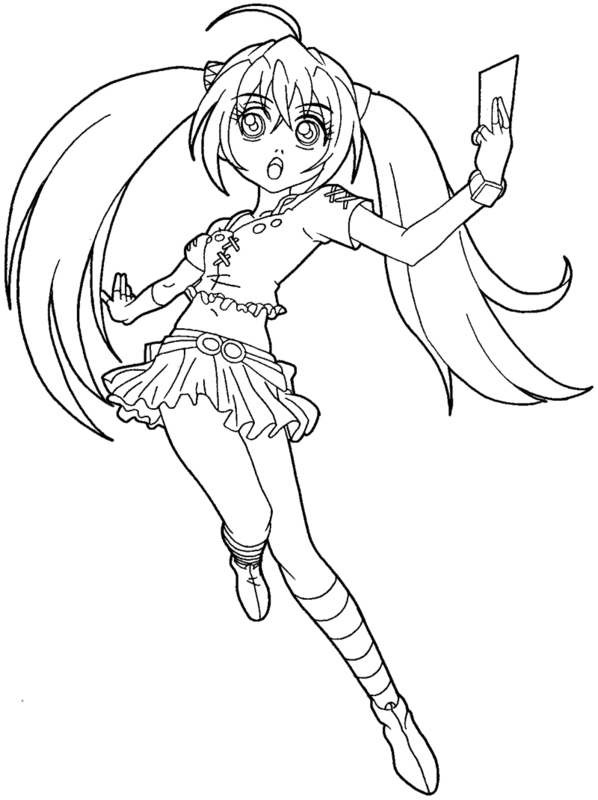 Runo is a Tomboy who loves playing Bakugan with the boys. 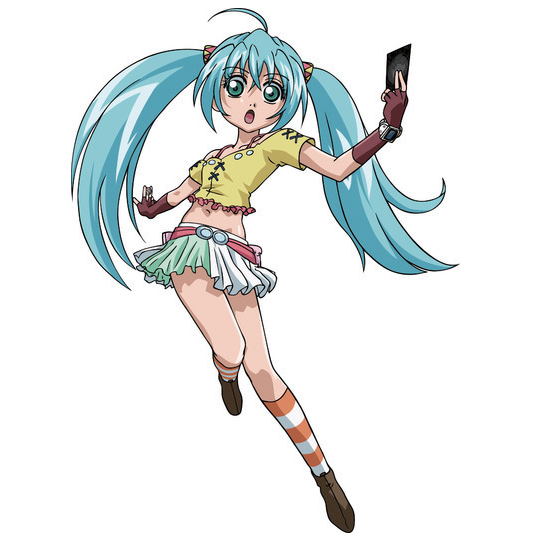 Runo never likes to be judged for being a girl and she likes to prove her abilities and strength. 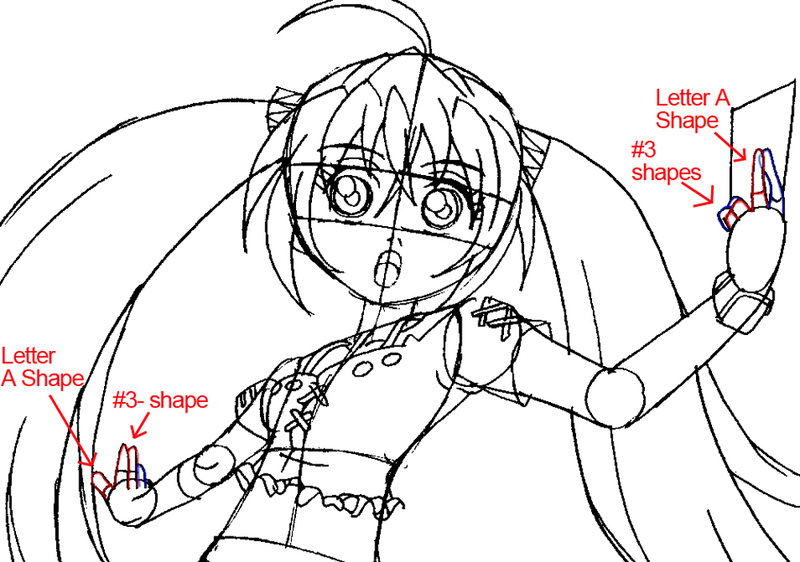 Today we will show you how to draw Runo Misaki with easy to follow steps. 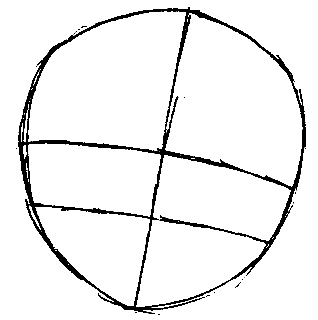 Runo’s head starts out as a basic circle shape. 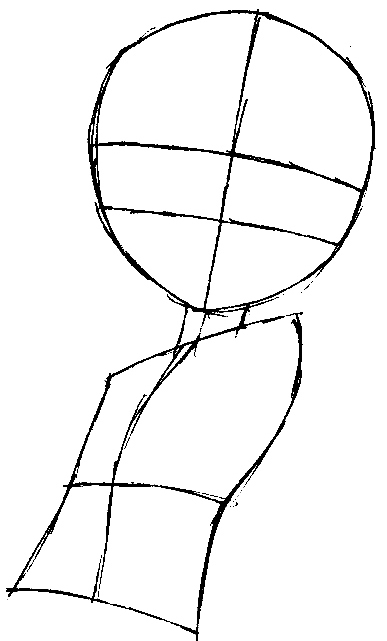 Add a torso shape. Curve it at the back, but make the lower part wider. 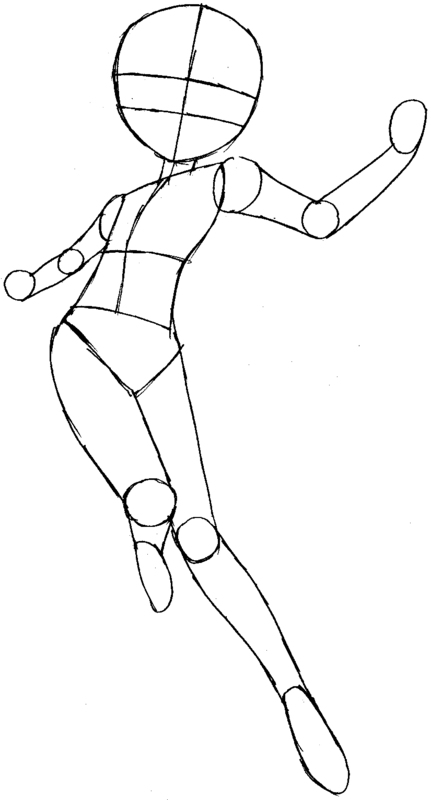 Next draw a triangle for the pelvis. 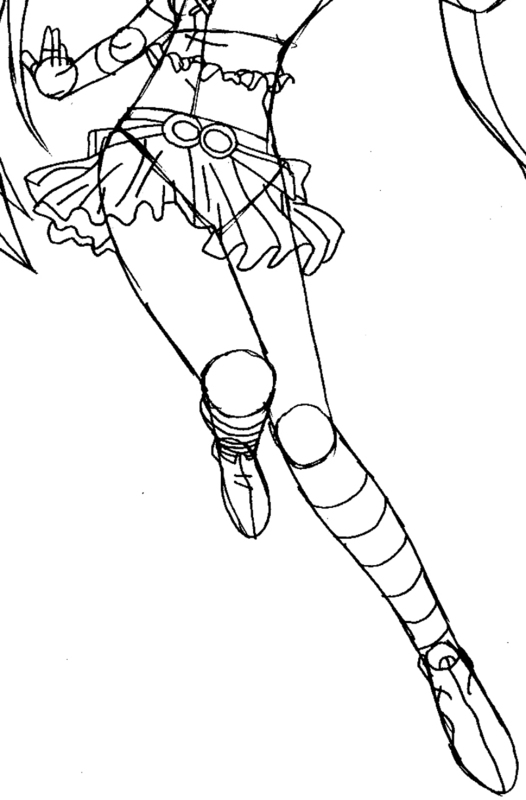 Draw Runo’s legs. Use slender cylinders that narrow as they reach the feet. 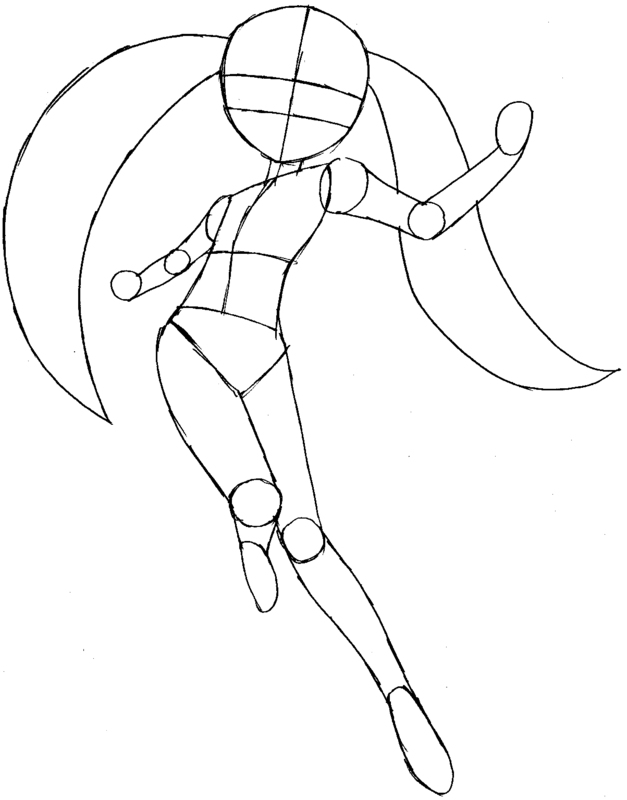 Add 2 crescent shapes attached to her head for her ponytails. 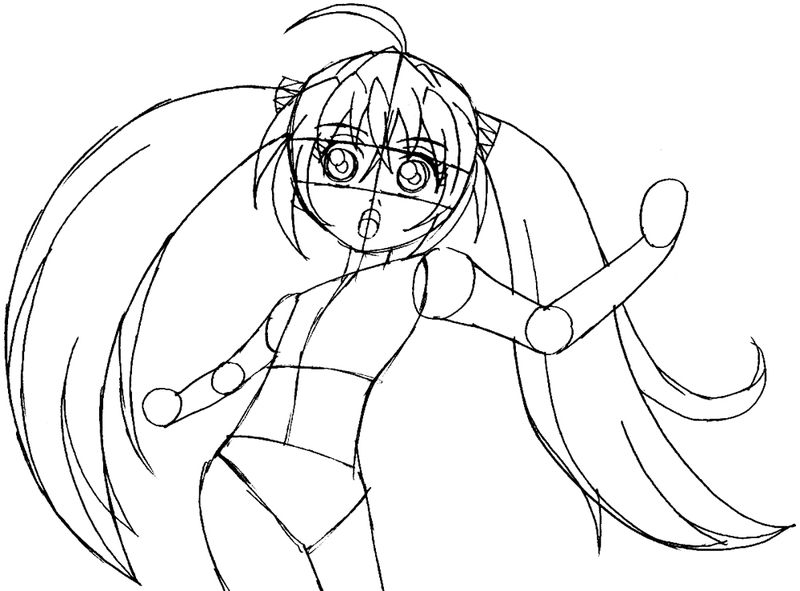 Let’s draw Runo’s face. Use round pupils with long lashes and a small nose. Draw her hair next. Long curving bangs parted in the middle, and tufts of rough hair for her ponytails. Next draw her top. 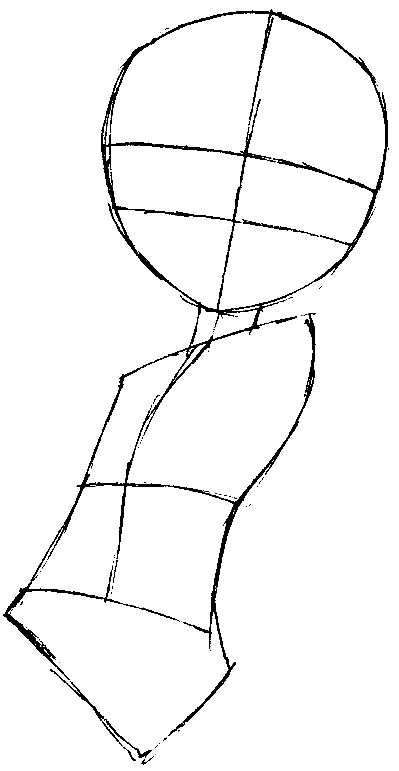 Use wavy lines for the frills of her hem and X’s for her buttons. Next draw her skirt. Use simple ruffles for the dress and wavy lines for the hem. Erase any unwanted lines and you’re Runo’s done. Now you have a beautiful drawing of Runo Misaki. Come back for even more Bakugan tutorials. This article was written on 17 Jan 2014, and is filled under Bakugan, Manga TV Shows.